Will clear nozzles and produce finer prints;Shipped in protective plastic case;J-head and Standard Nozzle clearing Kit;Restore print quality in minutes! ;2 each of smaller bits!! 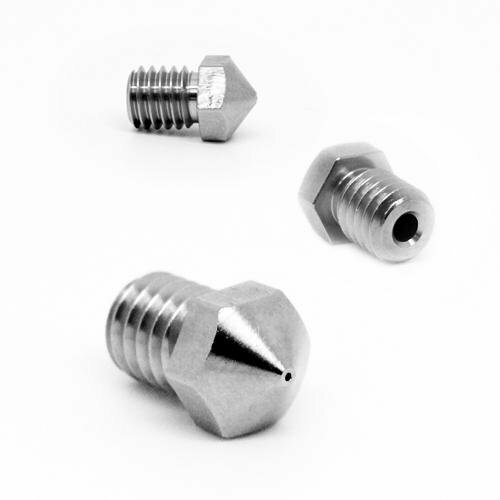 THE BITS: These Micro-drill bit Extruder Nozzle Cleaners are an essential item for any 3D printer owner. Every extruder nozzle must be cleaned out from time to time. These nozzles are very difficult to clean properly. These micro dtill bits are of the highest quality, made in Japan. They are the perfect tool for the job. 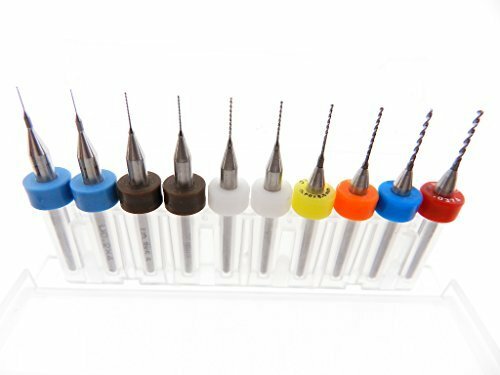 By using these precision drill bits, you will extend the life of your nozzle and without a doubt, produce finer prints. If you need another size or have any questions, contact us and we will take care of you. This multi-functional tool is perfect for hand cleaning the nozzle head to your 3D printer. You can use a drill to do the job, but the hand held tool is more safe. The high speeds of electric drills can cause damage to the nozzle head if the user does not have very steady hands. This tool is very easy to hold and compact at 3.5″ long.